A PARENT'S WORST NIGHTMARE IS GRACE'S DEADLIEST CASE . 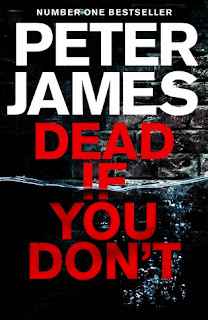 . .
My thoughts: While this is the 14th book in Peter James' Roy Grace series, it is the first book I have picked up and I felt just fine jumping in. This is not usually something I like to do, but have started doing so as most authors write their series so that you can jump as you see fit. I still prefer to read my series in order, but some times that just isn't feasible. I have to say, I really enjoyed this book and liked Roy Grace...so much in fact that I think as time allows, I just might go back and start this series from the beginning. That's the beauty of jumping in to an already established series, I guess. If I like the most recent book, I can always go back to the beginning and start at book 1. If I don't like it, no need to go any further. Luckily in this case, I'm eager to read more - this is a great police procedural!!! I think what I liked most about this book is that a lot is going on and it's twisty and keeps your attention all the way through. There doesn't seem to be any lag or any dull parts to this story. The characters all fascinated me in one way or another - whether they were good or bad - and I was eager to see where everything was headed. I liked that not all characters were easy to read - you had to follow them a bit to get a feel for them. And some of them were just downright nasty! I liked the characters that were involved in this book. Of course, having jumped in at book 14, I don't know how many of these characters are regulars and how many were new just to this book. And being new to the series, I don't know anything about the relationships between any of the characters, but I didn't feel too lost at any point. I do look forward to starting at the beginning and seeing all the relationships develop organically as they were intended, though. I also liked that this book covers a lot of different areas - it starts at a football game (soccer for us here in the states) and then gets into the world of gambling as well as gang violence, explosives, and of course, lies and secrets and a little murder. It's non-stop action and you really need to be paying attention so as not to miss anything. It might seem as if there are a million different threads going in a million different directions, but pay attention because you don't want to miss a single clue or tip that might be the thread to weave it all together. It's complicated, it's messy at times, but in the end, it's a tightly woven web that has been spun. I really quite enjoyed this foray into Roy Grace's territory and am excited to jump back in at the beginning. I just have to find the time to sneak these books in between all my other books...and hope that I can catch up in a relatively reasonable time without burning out! 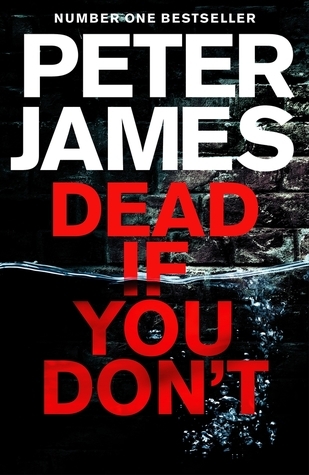 Audio thoughts: I ended up listening to Dead If You Don't and quite enjoyed the narration by Daniel Weyman. I've listened to him once before and thought he did a great job with this book. He brought the characters to life, giving some unique identities to the characters and infusing tension and emotion into his voice as needed. I checked and it looks like Daniel narrates the last 5 books in this series (starting from book 9) so if I decide to listen to this series in it's entirety, it's not going to have consistent narrators, which always bums me out, but that is out of my hands. And it looks like book 1 isn't even available on audio...so I have to read that one. But at least I know that if I do listen to some of them, the ones narrated by Daniel should be good! A riveting new translation of the first installment in the #1 internationally bestselling Joona Linna series, The Hypnotist shows the lengths one determined detective is willing to go to solve a horrific crime. A gruesome triple homicide attracts the interest of Detective Joona Linna of the National Crime Police. There's only one surviving witness--the boy whose family was killed before his eyes. The only problem is, he's lapsed into a catatonic state. Desperate for information, Linna enlists trauma expert Dr. Erik Maria Bark, hoping to hypnotize the boy and uncover the secrets locked in his memory. But, scarred by past experiences, Bark has sworn never to use hypnosis again. When the doctor breaks his promise, he triggers a terrifying chain of events that will put all their lives in jeopardy. 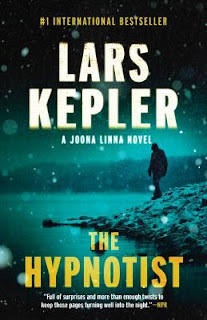 My thoughts: Back in March, I read The Sandman, the 4th book in Lars Kepler's Joona Linna's series and I knew I had to go back and start this series from the beginning. While I am usually a stickler with reading series in order, The Sandman was the first book that was being published in the US with the new translator, and they would be re-releasing the earlier books later this year with this new translator. Once again, I will start off by saying as I did with The Sandman review...this is a dark and disturbing book. I think the whole series is going to be like that for a multitude of reasons, so be forewarned if that is not your cup of tea. I love being back in Jonna Linna's world and I love that here we get an official introduction to Detective Joona Linna of Sweden's National Crime Unit. He's a determined and headstrong detective and usually gets his way, often with the catch phrase, "Didn't I say I was right?" We don't get too many details about him, but enough that I have a better picture of who he is than I did to start with. I am looking forward to seeing his character develop further in the upcoming books. The gruesome murder at the beginning of this book is haunting and chilling and yet things only get more complicated and twisted from there. The use of hypnosis to help solve what happened seems to open a pandora's box and that was an exciting yet unique element to add to the story line. This is a very cleverly crafted novel...what you think is the main story line is merely a set up for what's to come. While the story is a little slow to start off, once it picks up speed, it really takes off and the last 100 pages or so move so fast, you find yourself frantically flipping the pages and not so much as taking a breath for fear of missing something. But that's not to say that the beginning isn't engrossing - it's just more of a slow-burner than the rest of the novel. And let's talk about those short chapters...it makes you want to keep reading - giving you that "just one more chapter mentality." Despite its length, coming in at close to 600 pages, I flew through this book in just 2 days...I was that invested in this story. This is one of those books that once you start, you really don't want to put down. It is dark and a bit disturbing, but it's also incredibly addicting with fantastic characters and great twists and turns. I am definitely a fan of this writing duo and can't wait to get my hands on the next book! My thoughts: While I am still new to Colleen Hoover's books, I have come to realize that her books pack an emotional punch that hits hard...hard enough to bring the ugly crying. But I don't regret reading these books at all...as much as they might be tough, uncomfortable reads at times, they are so worth it in the end...she truly has a gift of getting to the heart of human emotion in such an original, heartfelt way. This book was probably one of the most difficult ones I've read in a while because in all honesty, it could have been the story of my life. 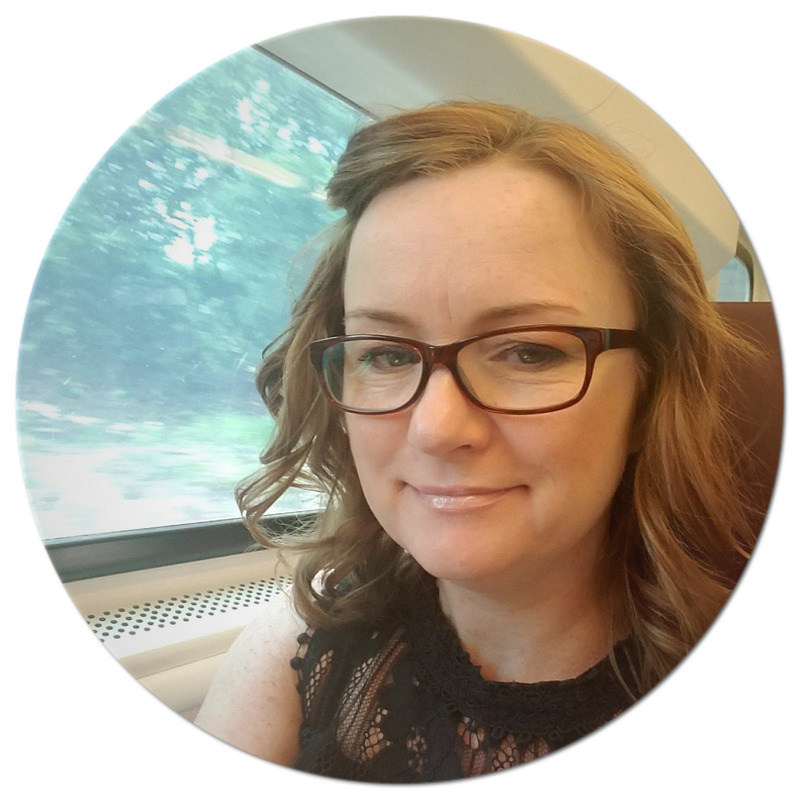 It deals with something that I never in a million years thought I would ever have had to go through and so much of what Colleen Hoover put into her story I experienced first hand - infertility. There was a time, right after I went through all this that I would never have been able to read this book - it was too hard and I was too emotional and raw to handle anything having to do with pregnancy, good or bad. But, being a few years removed from this and having made my peace with everything, I can now not only read books about it, but also appreciate it that much more. And I think Colleen Hoover does such a good job really showcasing the true struggles a couple goes through when they deal with infertility. I fully understand just how insensitive others can be, not realizing what someone is going through when they deal with infertility...but it really isn't something that is easy to talk about. It isn't even always easy to talk about it with your own spouse and that is who you are going through it with. This book really struck a chord with me, in such a profound way. It's emotional, it's raw, but it's told in just the right way. 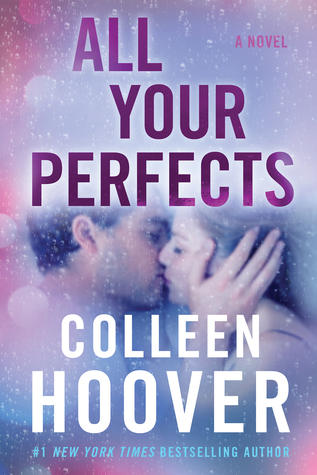 I loved that Colleen Hoover gives us the story of Quinn and Graham's love both "before" and "now"...'before' being when they first met and how they fell in love, while 'now' is years into the marriage where they are experiencing a crisis that just might be the end of them unless they can figure out how to fix things. This really creates quite the emotional suspense - are they going to be able to work things out or not? This is the type of book that will stick with you long after you finish reading it. It's emotionally charged, powerful and thought provoking. Even if you haven't gone through what this couple has gone through, it will open your eyes to the struggles that so many people go through. It is well-written and a story that should be on everyone's reading list. Just have those tissues at the ready! 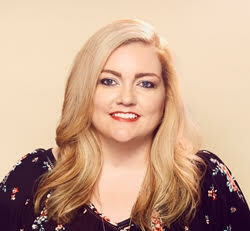 About the author: Colleen Hoover is the #1 New York Times bestselling author of Slammed, This Girl, Point of Retreat, Hopeless, Losing Hope, Finding Cinderella, Maybe Someday, Ugly Love, Maybe Not, Confess, November 9, It Ends with Us, and Without Merit. Colleen has won the Goodreads Choice Award for Best Romance three times – for Confess in 2015, It Ends with Us in 2016, and Without Merit in 2017. Confess was adapted into a seven-episode online series. 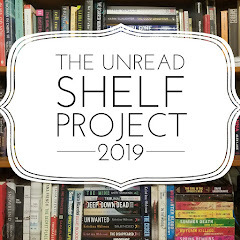 In 2015, Colleen and her family founded The Bookworm Box, a bookstore and monthly subscription service offering signed novels donated by authors. All profits are given to various charities each month to help those in need. Colleen lives in Texas with her husband and their three boys. My thoughts: Eric Rickstad has become one of my favorite crime fiction authors. I devoured his Canaan Crime series and while I hope there will be more books coming out in that series, I of course, would not say no to a stand alone. And what a stand alone it was! One of my favorite aspects of Eric's writing is his incredible ability to create a sense of place in his books. He fully creates and uses the atmosphere and setting in his books to its fullest advantage and that is absolutely the case once again in this latest book. Setting the book in Vermont in the middle of winter, he is able to make use of the cold, dark winter and of course the snow. And he uses that as well as the woods that inhabit the small town in which he sets his story. This just adds to the overall suspense of the story and really helps create a sense of bleakness and desperation, as well as that sense of darkness and foreboding. But at the same time, he is not overly descriptive in his writing of the setting. He gives just enough to set the place without getting too bogged down. I love the characters that Eric creates. Here he gives us two that he fully develops and we follow them after a horrible event unfolds - that of the disappearance of a wife and daughter. The set up of the book is interesting. As it follows the father and best friend of the daughter, Jonah and Lucinda, we see just how they cope, immediately after and years after. We see their struggles and their pain as they learn to deal with this new normal - that these people they loved have just disappeared with no reason and no rationale. He makes these characters very relatable, and their emotions are quite palpable. I found myself on the edge of my seat as this book reached it's final conclusion. I had run through a ton of possibilities while reading it, but never once did I go where it ended up. It is certainly a twist-filled journey that takes us to this finale and one that shocked me to my core - well played, Eric Rickstad, well played! I flew through this book, as I have with each of Eric's previous books, and now I am quite anxious to see what comes next. I do hope there will be more installments of the Canaan Crimes series, but I wouldn't be opposed to another stand-alone especially if it is anything like this one! My thoughts: This was my first Linwood Barclay book and I can tell you with absolute certainty it will not be my last...especially if all his books are as good as this one. OMG...I devoured this one, reading it in one sitting! This book starts with a bang and never really lets up. As soon as I read the prologue, I knew I was hooked, but the best part is that the whole story kept me glued to the pages - there was never a part that my interest waned...not one part! This book was so addicting and fast-paced, it was hard not to want to read it in one sitting. I really liked that it was told from multiple perspectives. This helped to not only round out the story, but also add to the intrigue. You have Paul's perspective, who is dealing with major PTSD after his attack. But then there is his wife, Charlotte and also his therapist, Anna. I have to say, as much as I liked Paul's parts, I really liked Anna's parts - she had so much going on in her own life that you could not help but sympathize with her. I also loved that as much as Paul was trying to move on from all that had happened to him, you couldn't help but question his reliability at times. Was what was happening with the typewriter really happening or was it all in his head? Of course, the typewriter plays a big part in this book and I have to say, this brought back fond memories of my own times with typewriters. Yes, I am old enough to have taken typing classes in high school - I actually took 2 or 3 - they were some of my favorite classes because I was so good at typing! Oh the frustrations of having to load a new piece of paper after making a huge mistake...and how comical Paul's son's comments were about the typewriter. I loved the twists that came in this book - and while I did guess one of them - I didn't guess them all. I just had an inkling about the first twist and as soon as it was revealed, I was like "Ah ha...I was right!" But in no way did it detract from my enjoyment of this book...in fact, it only heightened it...I needed to find out how it happened and then of course, that was only the first of all the twists to come into play. I definitely did not see the others coming. It was like the first of a series of reveals that just kept coming and it was mind-blowing, to say the least! 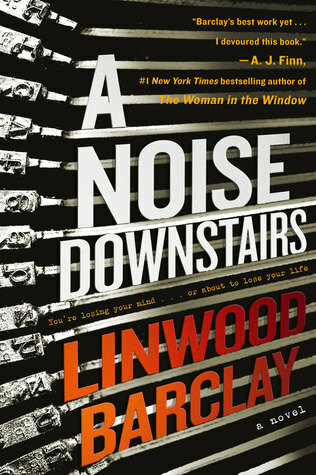 This book is certainly going down as a favorite of mine and I will definitely be checking out Linwood Barclay's back list. Have you read his other books? If so, what do you suggest I pick up next? 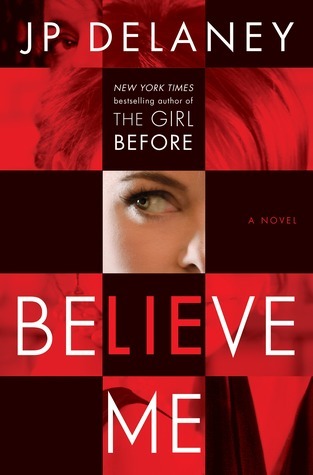 And for those looking for a fun, addicting thriller, do yourself a favor and pick this one up - you'll be in for a treat! My thoughts: Last year, I read and really enjoyed The Girl Before by J.P. Delaney and knew that I would be reading everything and anything this author wrote. Well, here is the latest book and once again, I found myself completely engaged by this psychological thriller - a book with such a unique plot that I devoured it in just one day! What's interesting to note about this book is that J.P. Delaney actually wrote a story about an actress given a role in an undercover operation years ago. It had a different title and was published under a different name, but it didn't do as well as he had hoped. After the success of The Girl Before, he decided to revisit this earlier book, but not just republish it as it was...he gave it a whole new life...and that is what we have here. Let me just tell you...this author is quite a genius when it comes to spinning a tale. And this new title - the old title, by the way was The Decoy - is just brilliant, because at the end of the day, you will find yourself doing just the opposite and believing no one! I think that's the best part of this book - not knowing who you could trust or believe. The characters in this book, while not necessarily likeable, are still compelling and hard to walk away from. They are complex, interesting and mysterious. You just need to know what it is that they are going to do next. This is a dark, thrilling read, no doubt about that. The cat and mouse game that is going on will keep you reading until you reach the final conclusion. And the short chapters just add to the frantic page flipping...as do all the questions that keep popping up the further you get into the story. J.P. Delaney sure knows how to rope you in to keep you hooked, there is no doubt about that! If you are looking for a good page-turning thriller with an unreliable narrator, a murder and deception, than look no further than here. 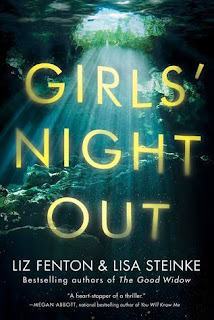 My thoughts: This is the second thriller that this writing duo has penned together and let me just tell you, they definitely seem to have figured out how to craft some clever, twisted stories. This is definitely a genre that works for them, if these last two books are anything to go by! 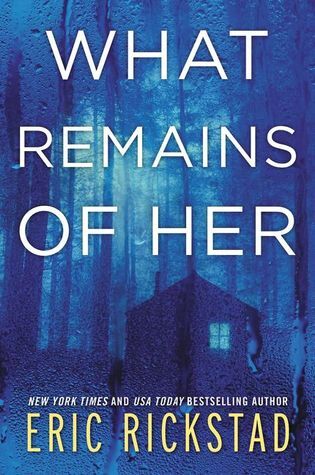 This latest book, not only delves into the intense bonds of friendship, but also gives us one crazy mystery to boot...what happened to Ashley? Right from the beginning you get the sense that some something bad has happened, but you just don't know what. And having the story jump around between the different narrators - the three friends - as well as to different times in the story, really keeps this story moving. It also ups the suspense as things are hinted at, but not quite ever fully revealed until the just the right moment. I thought for sure I had figured everything out a few times, only to be thwarted each time. These three women once had a pretty solid friendship, despite the fact that there were three of them - you know that saying, "three's a crowd." But, life happens and things had been said that left some major rifts between them. In an attempt to heal old wounds, Ashley invites the girls on this "girls getaway trip" in order to work on getting the friendship back on track, yet things don't quite go according to plan. What I loved most about this book is that the deeper I got into it, the more I questioned everything I read. I was all over the place with how I felt about each and every one of these women...every time something new was revealed about them, I felt my opinions about them changing...and I loved that! This isn't a book where you are pigeon-holed into feeling a certain way about the characters...these very clever authors give us just enough to allow us to make our own judgements. The tension and suspense will keep you flipping through the pages, and while it's not a heavy read by any means, it's certainly one that is addicting and binge-worthy! Definitely a great beach read, for sure. It's got drama and secrets and all the angst you want with your summer read, plus it's set in a dreamy destination setting with cocktails aplenty. Pour yourself a drink and enjoy the ride...you'll thank me for recommending this one! 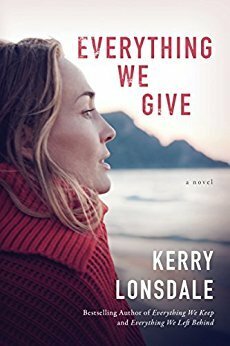 My thoughts: This book is the finale to Kerry Lonsdale's Everything series, and I cannot stress this enough...if you have any plans of reading this series...READ IT FROM THE BEGINNING! This really is a series that you do need to read in order as there are minor spoilers in each of the subsequent books that would definitely ruin the enjoyment of the previous books. And it would also affect the emotional impact - and that is such a big part of this series. Do yourself a favor - read this series as it is meant to be read...you will thank me for guiding you on that! This book tells Ian's story and it is just as emotional and compelling as the other's. We also get Aimee's side, too, but for the most part, this is all Ian. I loved that it went back and forth in time from present day to different parts of Ian's childhood. There is a reason why Ian is the way he is and seeing Ian in his childhood really helps tell this. One of the best parts of this series is just how complex the characters are that Kerry Lonsdale has created and Ian is no exception. We see that clearly here in this book - both in the present day as well as in his childhood. We also see just how much he struggles with all that has gone on in his life and when you add in what has happened with Aimee, it's quite amazing. I really enjoyed this series - I loved the way each of the books were set up and I loved getting to know all the different characters. While I'm sad that we never got a few of their stories - such as Thomas's or Nadia's, I think Kerry really did create a wonderful series that I won't be forgetting anytime soon. Audio thoughts: This is a tough audio review to write...I loved the story itself, but the narrators almost made me stop listening. Andrew Eidon, narrating Ian's sections did a great job...that part I had no issues with and luckily his story was the majority of the book. Amy Landon, on the other hand, was less than stellar. She narrated Aimee's parts and did ok with anything related to female voices, but when it came to male voices, it sounded very automated. If Aimee's parts had been more frequent, I probably would have switched to reading the print version of this book...and I have never abandoned an audiobook before. As I said, luckily, Aimee's parts were few and part between, so I only had to cringe every now and again, but I think this might have been a poor choice of narrators for this particular book. My thoughts: I love nothing more than a really good psychological thriller with great gothic vibes and this one absolutely has that and more. And let's not forget it's stunning cover...it totally gives off such a creepy vibe to go along with the story - this one is the total package, folks, and you do not want to miss it! What I loved most about this book is that as addicting a read as it is, I found it to be a slow-burning kind of read. It starts off with a bang and some major confusion...but it is so intriguing at the same time that you just can't help yourself as you keep turning those pages to figure out what is going on. I loved the way Shannon Kirk ever so slowly unravels everything - she leaves you with all sorts of questions, and while they do eventually get answered, more pop up before all is finally revealed. The story moves back and forth in time and alternates between two narrators - Mop (Mary Olivia Pentecost) and Aunty Liv - and bombards you with all sorts of goings on and you are left to piece everything together as well as keep things straight. It's such a unique way to tell the story, but at the same time, it's chilling and haunting, and just might have you questioning the sanity of some of the characters as well. This book is filled with family secrets and delves into the world of mental instability like no other. It is crazy just how dark one's own paranoia and hysteria can be and where that can lead you. Reading Aunt Liv's stream of consciousness, and even Mop's at time's, was so eerie and yet so authentic, to each situation they found themselves in, that it just made for more compelling and realistic characters. This book is dark and deliciously fun. It's one twisted, at times terrifying thriller that I cannot recommend enough. My thoughts: This debut novel is probably one of the most chilling, deliciously creepy books I've read in a long time and will definitely go down as one of my favorites. I actually listened to it - and the audio was fantastic - make sure to read my audio thoughts below. This novel is getting some great buzz and it's well-deserved. It's such a great read. I literally could not tear myself away from it once I started it. It's a chilling look at a completely dysfunctional mother-daughter relationship - with the daughter being only seven years old. Hanna is manipulative, cunning and just about down-right evil towards her mother - oh and on top of all this, is mute! Of course, she never let's anyone else see any of this maliciousness but Suzette, most especially her father. On the flip side, Suzette's anxiety about motherhood comes out in spades. I could feel it, it was that palpable. I loved the way this story was told, with the chapters alternating between Hanna and Suzette's points of view. It really allows you to get into their heads and see what is going on, but at the same time, it also brings up a ton of questions. My biggest question was what happened to cause Hanna to hate her mother so much? Was it just that Suzette had some of her father's affection or is there more going on here? 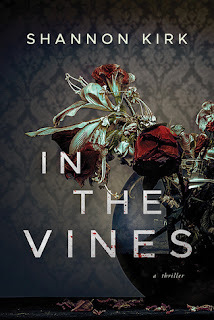 I also liked that with the switching of narrators, while you think you know who's side you are on (#TeamHanna vs. #TeamSuzette), as you get deeper into the book, you might feel yourself flopping back and forth a few times...depending on who is narrating! I was obsessed with this book...and whether you read it or listen to it, it will evoke strong feelings. This is certainly a book that will make you think a lot...and would even make a great book club selection. I highly recommend it! Audio thoughts: I was fortunate to be given an early download of the audio version of this book...and WOW! This book was amazing on audio! This was the first time I've listened to Gabra Zackman narrate a book and she knocked it out of the park, especially for Hanna's voice. She really got the nuances of a little kid's voice and even made it sound a little creepy at times. I also appreciated her pronunciations of the Swedish words...I'm sure she did them better justice than I would have. As much as this book was creepy and suspenseful, it was super fun to listen to and that is definitely a tribute to the narrator! ***And don't forget: There's a #BookGiveaway going on until July 23rd for a finished copy of Baby Teeth. Be sure to enter if this is your type of read! 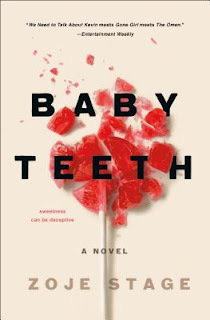 Tomorrow, July 17th, Zoje Stage's debut novel, Baby Teeth, comes out, and because I ended up with an extra copy, I'm going to give that copy away - and it's a finished copy! I've just finished reading this book - it's a deliciously creepy read!!! - and will be posting my review later on today. You can see what others have to say below and then be sure to enter the giveaway below!!! Thanks to the publicist, one reader will win a finished copy of Baby Teeth by Zoje Stage. To enter the giveaway, please fill out the rafflecopter by July 23rd. This giveaway is open to US residents only and ends July 23rd.